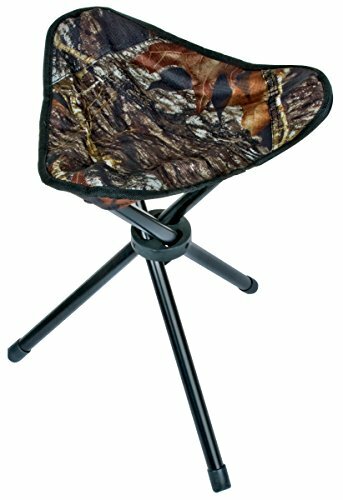 The Mossy Oak Three Legged Stool makes time in your blind much more comfortable. It is easy to take with you and sets up in just seconds. With its strong steel tube construction, this hunting stool will last you a long time.